Dr. Ngaile’s long-term goal is to contribute to the dramatic reduction of the use of toxins in metal forming lubricants. At the undergraduate level, Dr. Ngaile teaches Modern Manufacturing Processes (MAE 495M) and Mechanical Engineering Design (MAE 416). In his manufacturing course, the students receive a hands-on introduction to modern manufacturing processes. Dr. Ngaile conveys his own experiences in manufacturing and takes the students on a tour of a manufacturing plant. In his design course, Dr. Ngaile places an emphasis on the general features of the design processes  addressing issues that go beyond the design project being completed that semester. Dr. Ngaile teaches Materials Processing by Deformation (MAE 731), which exposes the students to a wide range of metal forming processes including state-of-the-art techniques, and he teaches Applied Finite Element Method (MAE 589). In his applied finite element course, the focus is on developing the capability to solve a wide range of problems involving solids, thermal, fluids, and vibration. In MAE he collaborates with Dr. Fang. Dr. Ngaile’s graduate students have a strong interest in solid mechanics. They gain experiences with numerical modeling of metal forming processes and hands-on experiences with machine design. Outside of work, Dr. Ngaile enjoys to travel. 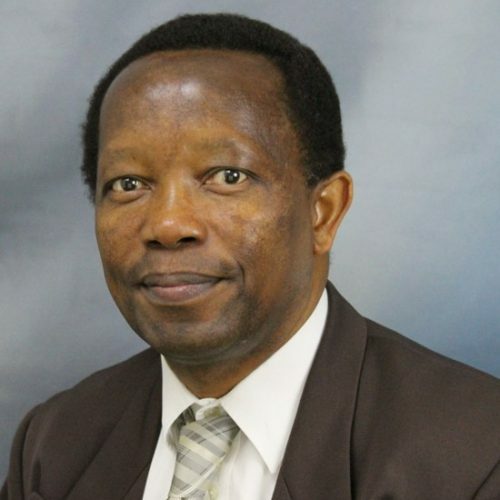 Dr. Ngaile is interested in design and manufacturing, tribology in manufacturing, modeling and optimization of manufacturing processes, material characterization, and finite element analysis. Dr. Ngaile is developing new formulations of metal forming lubricants, and is studying how to tailor metal forming processes to minimize the quantity of toxic-rich lubricants needed in these processes. Also, he is studying the influence of ultrasonic vibration on microforming processes. Lowrie, J., Pang, H., & Ngaile, G. (2017), Journal of Manufacturing Processes, 28, 523–530. Li, L., Ngaile, G., & Hassan, T. (2017), Journal of Micro and Nano-Manufacturing, 5(2). Lowrie, J., & Ngaile, G. (2016), In 44th north american manufacturing research conference, namrc 44 (Vol. 5, pp. 707–723). Lowrie, J., & Ngaile, G. (2016), Journal of Manufacturing Processes, 22, 49–59. Alzahrani, B., & Ngaile, G. (2016), Materials, 9(1). Li, L., Ngaile, G., & Hassan, T. (2016), In Proceedings of the ASME 11th International Manufacturing Science and Engineering Conference, 2016, vol 1. Hummel, S., & Ngaile, G. (2015), Proceedings of the Institution of Mechanical Engineers. Part B, Journal of Engineering Manufacture, 229(3), 435–452. Lowrie, J., & Ngaile, G. (2015), In Proceedings of the ASME 10th International Manufacturing Science and Engineering Conference, 2015, vol 1. The proposal seeks funding to provide partial support for 20 selected students studying in U.S. institutions to participate in the 3 rd World Congress on Micro-Nano Manufacturing (WCMNM) that will be held in Raleigh NC, 10-12, September 2019. WCMNM is a premiere global conference on micro-nano manufacturing which draws attendance of 150-300 people each year from America, Europe and Asia. WCMNM serves as a platform for exchange of ideas in the field of micro-nano manufacturing and engineering. The NSF financial support will provide the student participants with opportunities to exchange ideas with leading researchers and engineers from worldwide industrial and governmental facilities, as well as the opportunity to visit companies involved with micro-manufacturing in Research Triangle Part (RTP) in North Carolina. In addition to nurturing a global micromanufacturing vision, participants will learn the latest research areas and results in the fields of micro-nano- manufacturing. Each recipient of NSF financial support to attend WCMNM2019 must be author or co-author of a paper that is accepted for the conference. The overarching goal of this proposal is to establish a knowledge base for enhancing the life of forging tools by manipulating the elastic strain field induced in the die and punches during forging, such that the contact stresses at the tool-workpiece interface is minimized or eliminated during punch ejection and release of the forging from the dies. It should be noted that, the retained contact stress at the tool-workpiece interface after the forging load is released is mainly attributed by the spring back of the dies/punches. The retained contact stress has detrimental effects on the tool life as it exacerbates tool wear, increase temperature dissipation from the workpiece to the tools as well as worsening the tribological conditions. The tasks to be carried out in this project are; (a) Investigate forging tooling design set ups commonly used in the forging industry and establish loading characteristics as a function of family of products. (b) Using the loading characteristics as a base, identify potential candidates (forgings) and their respective tooling configurations that are conducive for manipulating elastic strain fields. (c) Develop tooling set up schemes for dies and punches where induced tool elastic strain during the forging cycle can be manipulated. With the aid of numerical modeling carry out a parametric study to determine optimal conditions for the tooling. (d) Develop a laboratory scale tooling set up for backward and forward rod extrusion processes with provision for manipulating tool elastic strain fields during the forging cycle. Using this tooling demonstrate the feasibility of the proposed techniques in enhancing tool life. (e) In collaboration with industrial partners, carry out field trials to determine the effectiveness of the proposed methodology in enhancing tool life. Lightweighting is being actively researched worldwide. The motivation to reduce the weight of a vehicle is largely driven by government regulations. For example, the fuel mileage requirement for cars in the US will increase to 35 mpg in 2020 . For heavy duty trucks, the US is expected to cut carbon pollution by 17% from 2005 levels by 2020 . The power train for cars and trucks carries a significant percentage of the total weight of a vehicle. For example, the power train in Classes 1â€“3 accounts for 36% of the total weight, whereas in Class 8 the power train accounts for 48%.The majority of power transmission systems used in the automotive, aerospace, maritime, and other industries employ solid shafts. Utilization of hollow shafts can drastically reduce weight, thus improving fuel efficiency. Although there are different ways that hollow shafts could be produced (e.g., machining), to meet the demand in the above-mentioned industries, any new manufacturing process must meet the following criteria: mass production potential, short cycle time, structural integrity, and cost effectiveness. We seek to devise a fabrication process that will combine (a) an innovative forming concept based on differential heating, (b) geometric optimization, and (c) multi-functional heat treatment. This effort lead by University of North Carolina at Charlotte and in collaboration with UNC chapel hill and NCSU aims at establishing a North Carolina multi-university/industry consortium for improving manufacturing capabilities through the application of data science tools. The application domain is process optimization, where data analytic and decision-support tools will be applied to manufacturing process models and data to converge on optimal operating conditions. The innovative concept is that every part produced represents a new experiment. This leads to the final vision of data-driven machining in which an Intelligent Manufacturing Advisor continuously adjusts process parameters to maintain optimal performance at the machine level, maximize productivity at the factory level, and balance system output at the enterprise level. One of the most concerning problems with a threaded fastener is the tendency to loosen over time, creating a joint failure. The main cause for bolt loosening is the side sliding of nut or bolt head relative to the joint. This movement causes relative motion between the threads of the nut and bolt. The self-loosening causes a reduction in the clamp force which results in joint slip. As a consequence of this, the bolt is subjected to bending loads and finally fails by fatigue. The main reasons of relative motion are: bending of parts that causes induction of forces at the friction surface, differential thermal effects cause by temperature or material difference, applied forces on the joint can lead to shifting of the joint surfaces leading to relative motion and hence loosening. To address this problem of self-loosening, Allied Industrial Corporation has developed a mechanism where the bottom part of a nut is made such that it has a conical shape that is used to transmit the force to a conically shaped collar. When the nut advances towards the collar, the annulus cone will deflect inward while the collar would deflect outward. In this way, both the annulus cone and the collar will store strain energy. Any tendency of bolt loosening can therefore be prevented by the stored energy. The goal of this study is to investigate the influence of various parameters (geometry, friction, materials) on the robustness of the new fastening system. The results are expected to provide Allied Industrial Corporation with design guidelines for the new bolt-nut fastening system. The investigation will be carried out with the aid of numerical simulations. Novel Multi-functional Hybrid Drawing Process The overarching goal of this proposal is to explore new multi-functional hybrid manufacturing processes, where several operations which are complementary to each other are carried out simultaneously. To gain fundamental knowledge pertaining to this new class of manufacturing processes we focus on a novel multi-functional hybrid drawing operation. The conceived system is comprised of multiple segmented dies with provision for high pressure fluid supply. The dies are conceived to generate hydrodynamic cavitation energy at the tool-workpiece interface which is instantly harnessed to carry out several operations aimed at enhancing metal drawing capabilities. Hydrodynamic cavitation can occur in a flowing fluid region where the pressure of the liquid falls below its vapor pressure. It is a result of gas bubble formation, growth, and finally bubble burst, resulting in energy release sufficient to plastically deform metallic materials. In this multi-functional drawing process, three manufacturing operations that would have otherwise been carried out independently can be realized: (1) real-time surface texturing via cavitating fluid which in turn generates lubricant pathways (micro pool lubrication), (2) real-time alteration of physicochemical properties of fluid (in-situ lubricant formulation) due to local adiabatic temperature rise during bubble implosion, (3) altering local and global state-of-stress thus increasing the shear stress Ï„s, which in turn increases material formability, and (4) hydrodynamic â€œpseudo shot peeningâ€ via high velocity liquid micro-jets from cavitation, thus enhancing part surface integrity. The specific objectives of the study are (a) fundamental study of the mechanics of hydrodynamic cavitation and accompanied energy release that can be used to trigger other operations in real time, (b) study of real-time texturing of a blank/workpiece via hydrodynamic cavitation in a manufacturing process, where the produced micro-texture is instantaneously used to transport lubricant, thus enhancing tribological performance, (c) parametric study of the major variables that influence hydrodynamic cavitation, with focus on geometries that induce cavitation, physicochemical properties of fluid, fluid pressure gradient responsible for initiation of cavitation, vapor bubble size and bubble growth, (d) study of the potential of hydrodynamic cavitation in enhancing surface properties through imploding gas bubbles on the surface of manufactured products, and (d) explore the potential of altering the chemical characteristics of cavitating fluid, with a goal of increasing its lubricity; In situ lubricant formulation and the potential for producing nano-lubricants using shear energy emanating from high velocity micro jets. The major goal of this study is to investigate the potential of innovative forging technologies, materials substitution, and part/design modifications to reduce weight in forged parts used in light- and heavy-duty truck vehicles, without diminishing the structural integrity of any component. This study will focus on vehicles falling in Classes 1, 2, 7, and 8, which consume 93% of the total fuel used in trucks in the US . Classes 1 and 2 belong to the light-duty vehicle category, weighing less than 10,000 lb. Classes 7 and 8 represent heavy-duty vehicles, weighing over 26,000 lb . The specific objectives are to (a) conduct a study on forged components used in power train, chassis, and suspension systems, and thereby identify families of parts with high potential for weight reduction through innovative forging technologies or material substitution, (b) evaluate the feasibility and economic practicability of forging components that are currently produced by casting or other manufacturing techniques, (c) carry out preliminary investigation on effective forging technologies that could be used in lightweight manufacturing. This might include hybrid forging/forming operations, and (d) carry out preliminary investigation on the energy flow path/maps that forged parts are subjected to during service life. Systematically assess from mechanical and metallurgical point of view, the potential for weight reduction in specific components.